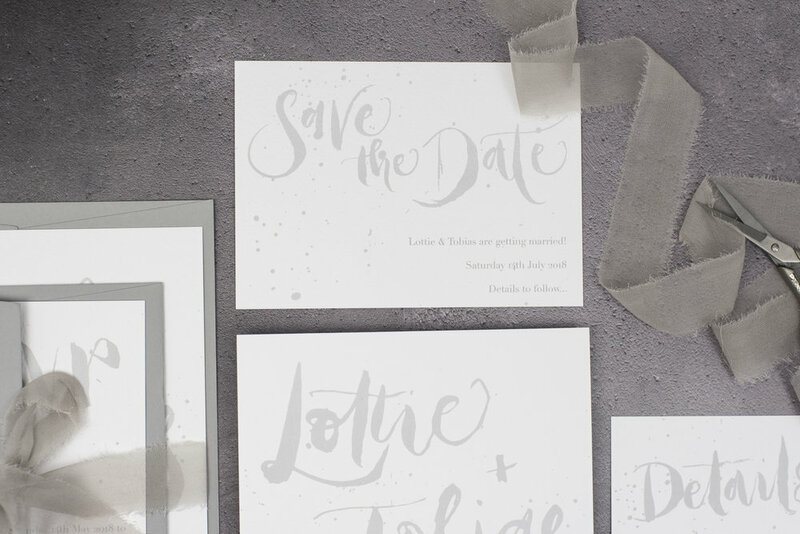 With a relaxed, loose feel, this is a neutral suite with hand lettered details . Your names will be hand written in brush lettering making it unique to you. 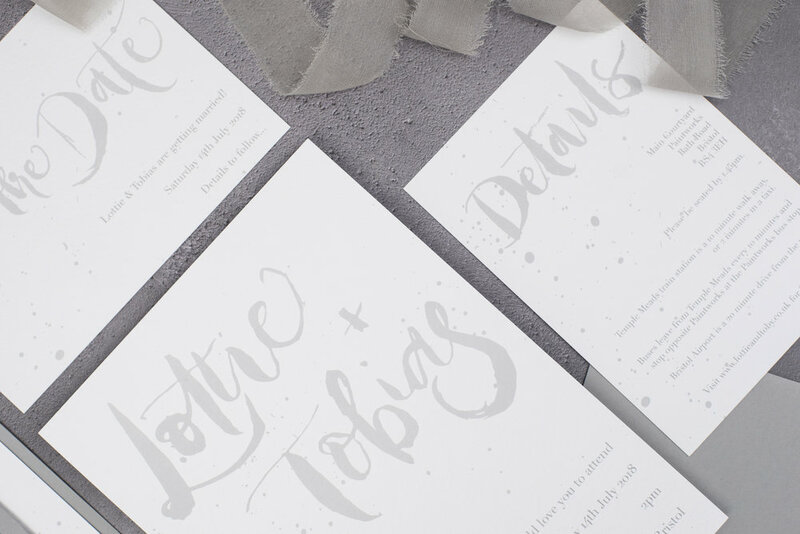 All our suites are digitally printed on 300gsm luxury hammered bright white paper stock in the UK and come with a matching main envelope as standard. You can also opt to change colours, paper stock or printing methods via our semi-bespoke service. For more information and pricing please see below. Please use our order form to place an order. 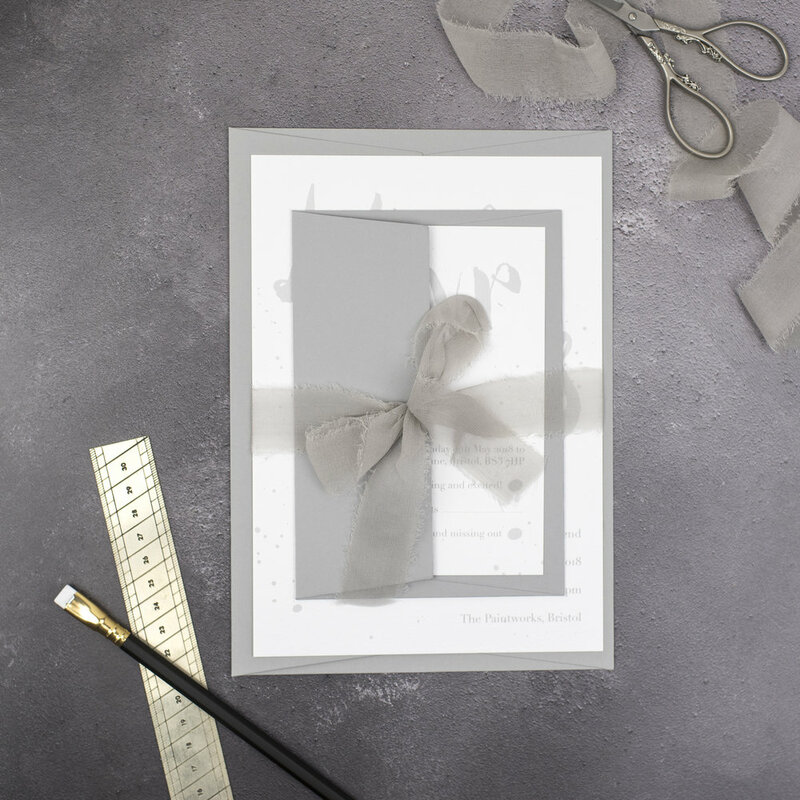 Each invitation set includes an A5 Invitation, A6 RSVP card, A6 information card and a matching main C5 envelope. As standard these suites are digitally printed on 300gsm hammered bright white paper stock, You can also opt to change colours, paper stock or printing methods via our semi-bespoke service. Please note this when completing your order form. You can order samples of this design here. 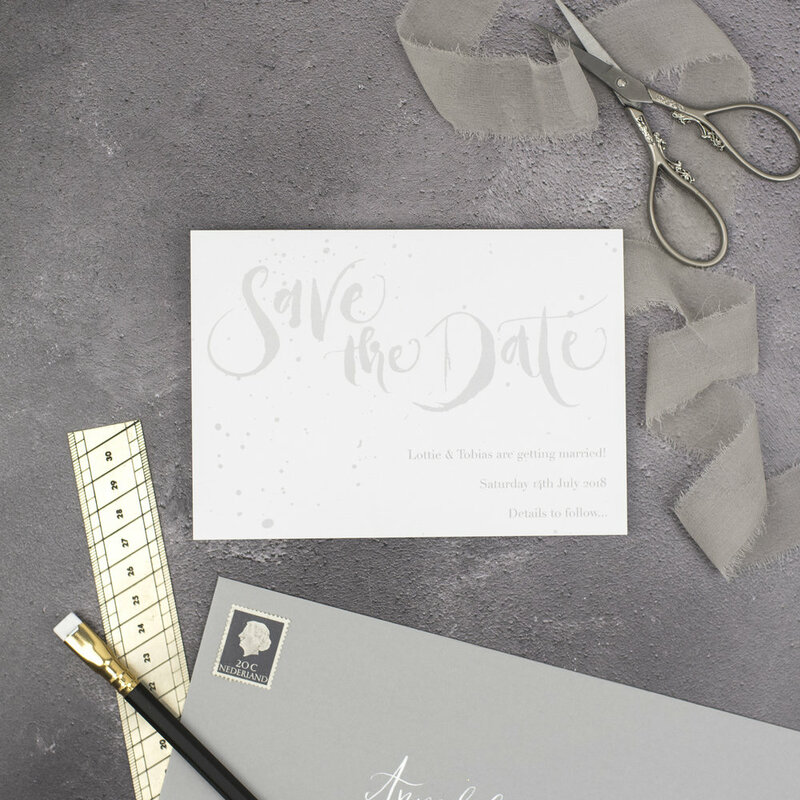 Pricing starts at £3.50 per item for 30 save the dates and £6 per set for 30 invitation sets. You can find more pricing details here. As standard the pricing includes wording changes (up to two revisions) and bespoke calligraphy , if you want more changes to the design then our semi-bespoke service is perfect for you. 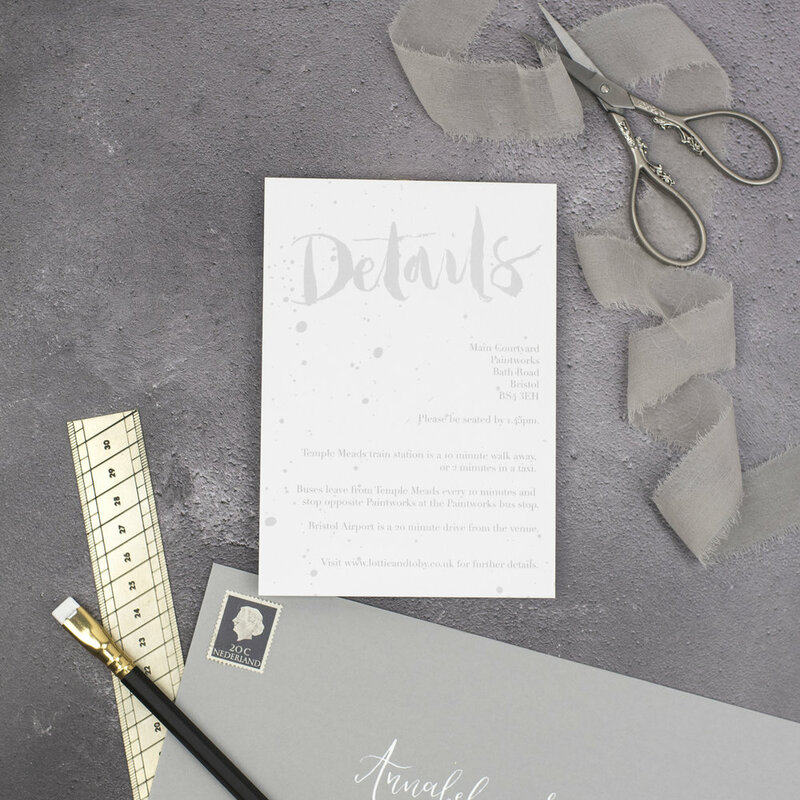 RSVP envelopes, twine, bespoke wax seals or any other assembly items can be included subject to additional cost, please add the extra items you would like on your order form. Items for the day to match this suite are also available, add a note to your order form or see here for more details. 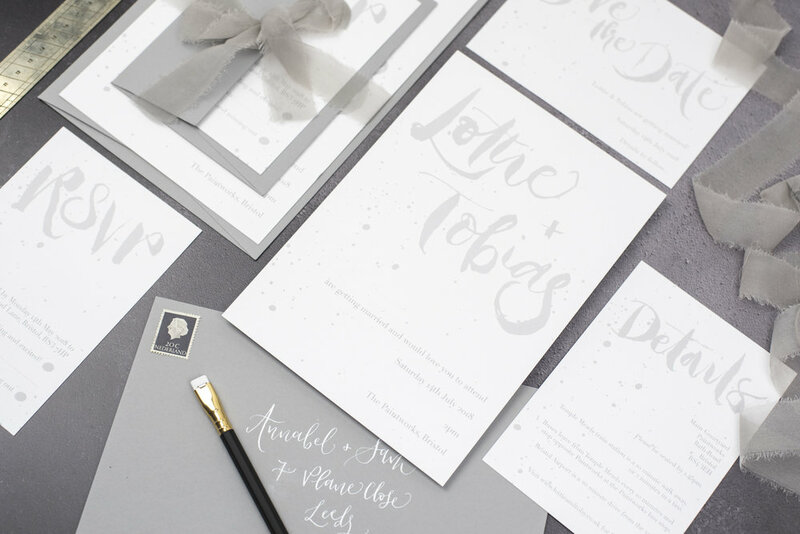 For more detail on calligraphy options such as envelope addressing, see here. You can place an order for this or any other collection suites by contacting us here. Depending on your requirements I will then be in touch to either approve your order or arrange a call to discuss additional details required. I use a great system called Trello for organisation. 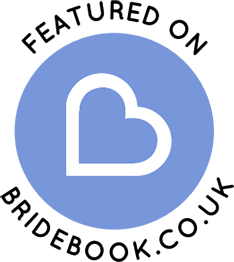 Any correspondence and all documents shared between us will be done using Trello. This means you can see at what stage your order is at any time and keeps our correspondence in one convenient place. Once you place an order, I will add you to Trello and your own specific board and everything such as details, correspondence, invoices, timelines and proofs will be here. For more information on the process then please see here. Once your order is approved your invoice will be uploaded to Trello. 50% of the total is due on booking to confirm your order. The remaining 50% is due immediately before the order is sent to print. Turnaround time is 6 weeks for collection orders, 4 weeks for save the dates.. Semi-bespoke orders may take additional time.